MacOS Mojave is out. In the November issue we have five big reasons why you shouldn’t wait to upgrade. Got a new iPhone XS? We have a rundown of the ten things you should do first with your new phone. Plus, We pulled out our crystal ball to tell you what we are predicting for a MacBook Air replacement. 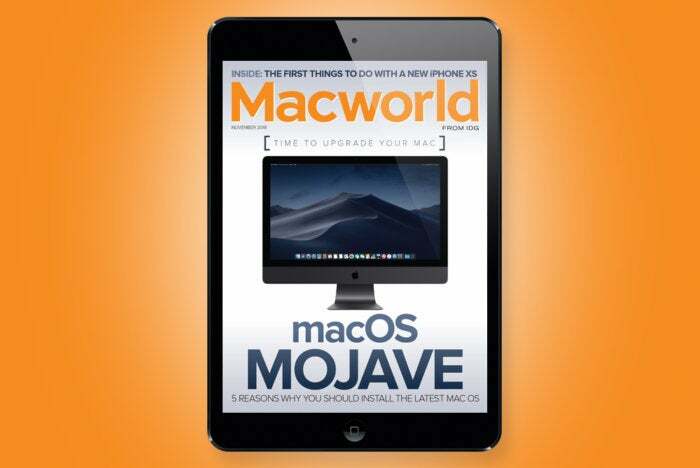 This story, "Macworld's November Digital Magazine: Five reasons why you should install macOS Mojave" was originally published by Macworld.